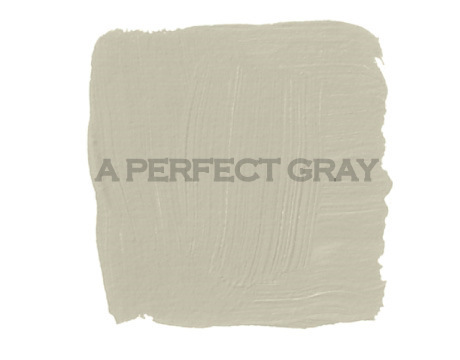 a perfect gray: A Perfect Gray or How it All Began. . .
A Perfect Gray or How it All Began. 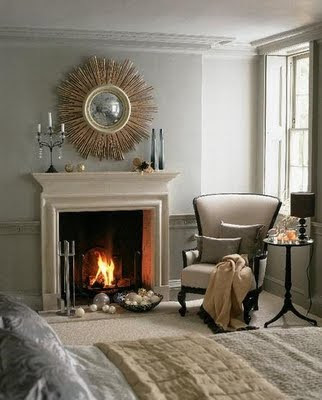 . .
. . .with a very innocent symphony tour of homes in a nearby town wherein I spot the livingroom of my dreams painted in Sherwin Williams Pearl Gray. O! Beautimous Room! O Perfect Color! O you Light! Calm! Watery! Heaven! The head/heart rush continues when this former Ben Moore gal discovers SW paints in the sample quart. O, SW, saver-of-my-money AND perfect color provider! Love! You! The Pearl Gray sample went up. 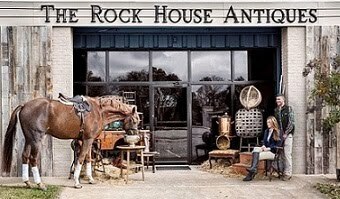 . .
Kinda like this - via My Favorite and My Best. A lovely color; just not what I wanted. Much rending of clothes and gnashing of teeth. Many trips to and fro SW. Many weeks later. . . It's not really even a gray! It's a gray/green, I guess. A fine color; but still not what I was going for. It's been up for, what, two, maybe three years now - while I search for A Perfect Gray. 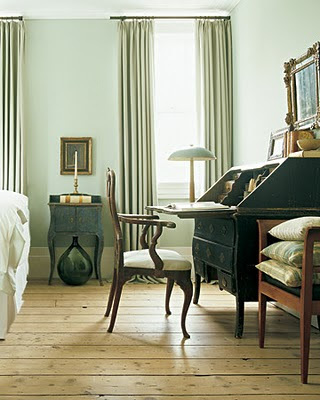 . .
You might want to look at Farrow and Ball Paints. Their Cornfoth White, Blackened ot Pavillion Gray are gorgeous. Your gray looks great though. Just found your blog. I've tried Martha Stewart's 'gravel' and really like it. 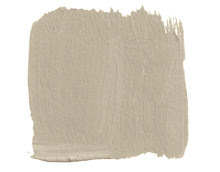 I know MS is moving her paint line to HD (I think), but if you're still looking for a gray color...it might be worth checking out. BTW, like your living room (especially the mirror). Really pretty. Good Luck! Thanks, Anon. I'm going to give it a whirl. . .
Nice to see this color on your walls. I was going to paint my kids loft in that color. Why must finding the right color be so difficult? 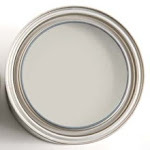 I've painted more than a few rooms with unsatisfactory results, only to have to live with them because It's so darn expensive to paint 20ft walls. Aargh. Oh, this is too funny. I just read this post for the first time (now June). Last November (after about a dozen cans of sample paint later) I painted my ENTIRE home SW Wool Skein. I knew there was a deeper reason that I love your blog--guess we are sisters in color now : ) Hope you're having a wonderful weekend!! Oops, forgot to add...I had to have them tinker with it a bit because the results of the color formula they had, didn't match the chip in the fan deck. (Apparently because of the environmental codes here in California (low V.O.C. 's), the base paints aren't exactly the same as those used in creating the color decks) But the results were fabulous after about the fourth try re-tinting. I got to know the guys at the paint store very well. If you'd like, I'd be happy to e-mail you the custom color formula that we ended up with that matched the chip.